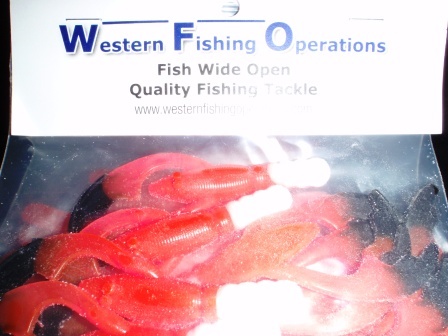 Through a fellow All Around Angler and contributor of this site, Steve ‘The Hustler’ Gustafson I was made aware of some fantastic locally made custom plastics….Western Fishing Operations, owned and operated by Rusty Bell. 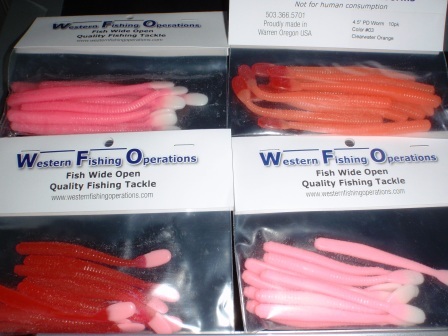 I used my first WFO plastic earlier this season to the tune of two fish right off the bat. When nothing else worked these plastics found some fish and dug them out of their high water trenches. Rusty has really captured what river anglers are looking for with what I might refer to as Next Generation Plastics. Because that’s exactly what they are. They put Berkley to shame and are a higher quality plastic than Mad River. Zippers? No shot at competing with WFO. Just ask Abe ‘Seargent Hitman’ Allison or Ryan ‘The Killer’ Kelner and they’ll tell you the same thing. Outstanding plastics with outstanding results. I’ve added Rusty’s company to my ‘Links’ section and am now featuring a series of photos from WFO’s new line of Quality Fishing Tackle including a new Nightmare Craw Pattern and worm pattern. His combination of colors is absolutely to die for and Rusty has the experience to stand behind a product that produces. Plus these plastic hold up very well in frigid temps when other plastic curl and tear. 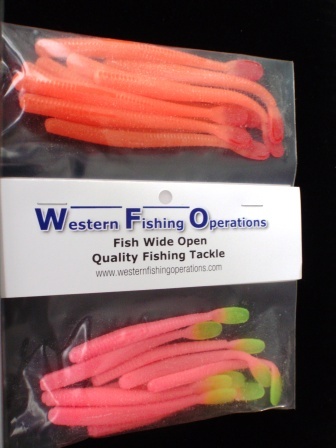 Simply click on the WFO link to order yours today. I’m sure Rusty can comment and reply to the questions you may have if you post them in the comment section of this post. I can’t express how proud I am to get a AAA endorsement. If anyone has a question please feel free to ask. Welcome, Rusty! The bonus nightmare craws look nice. How do you recommend rigging them up? 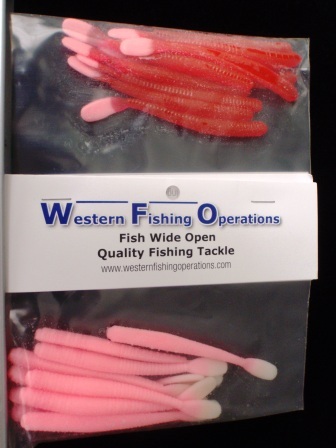 Best looking steelhead worms I have seen. Love the color combos you have in your lineup Rusty !!! Rig them like you would any other worm. I have been fishing them on 1/8oz jig heads and threading them. They have worked great bobber dogging. Thanks, Rusty. I will give it a shot. 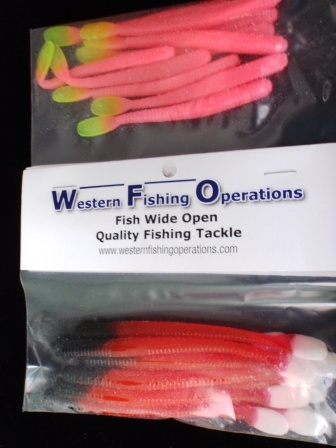 Looks like some great baits to use this Winter. The color selection seems to be second to none. The rigging also seems to be pretty simple. Thanks for your knowledge this winter.